Lexengine: Journey to our Constitution: Indian Councils Act 1861. Journey to our Constitution: Indian Councils Act 1861. This Act undone effect of the 1833 Act inasmuch as it restored the power of legislation to the Governments of Madras and Bombay. Also it made notable changes in the composition of the Governor General's council for executive & legislative purposes. Council of the Governor General was expanded and a fifth ordinary member was added. Now it included total 7 members (other two members being the Governor General and the commander in Chief). For the legislative purposes, not less than 6 and not more than 12 members were additionally to be nominated (comprising of both official and non-official members) by the Governor General and they were to hold the office for two years. Out of these, not less than half were required to be Non-Official. Similar provisions were enacted for the Governor's Council in provinces of British India. With the Indian Councils Act for the first time Portfolio system started. Each member of the Council of the Governor General was allocated portfolio of a particular department. 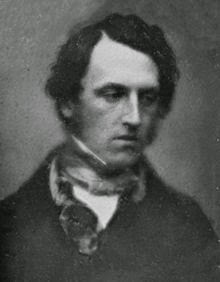 Lord Canning (1856-1858 as Governor general, 1858-1862 as Viceroy) was the First to start a Portfolio system. Before the adoption of the portfolio system in the Government of India, the whole business of the Indian governmental business was carried out by the Governor-General-in Council (earlier name of Cabinet Secretariat), As the amount and complexity of business of the Government increased, the work of the various departments was distributed amongst the members of the Council: only the more important cases were dealt with by the Governor-General or the Council collectively. Though the non-official members were added, the councils were neither a deliberative nor a representative body as these members could only consider the proposals kept before them by the Governor-General. But they could not criticise it. The Governor -General was given overriding powers inasmuch as it enjoyed the powers of prior sanction, without which a bill could not be introduced in the assembly. Also, it enjoyed the ordinance making power in situation of emergency, having the force of Act of the Council. He could also veto a bill after it was passed.